Cover Letters are an important part of the job search process. It’s your chance to make a great first impression. Many employers will not even accept a resume without the cover letter. This career document needs to be included with every resume submission. The introductory letter serves as a brief summary of the information that you have included in your resume. Inform employers about the job that you are applying for. Explain how you are qualified for the position. The most meaningful achievements throughout your career should to be the focal point of this document. Highlight your strengths and key responsibilities for your most recent and relevant job history. If you take your time and put some effort into this process, your cover letter can become a powerful marketing tool that is capable of generating a job interview before the employer even looks at your resume. 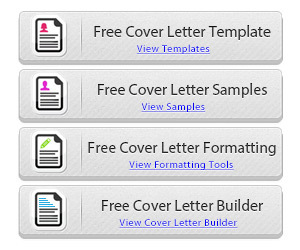 The articles below were created to help guide you through the cover letter writing process. You’ll find in-depth strategies and techniques to improve your chances to land that job! Articles were written by professional resume writers, letter writers and career consultants.